The internal workings of the dream factory – from vertical integration to the development of the global media conglomerate. Despite being one of the biggest industries in the United States – indeed the world – the internal workings of the 'dream factory' that is Hollywood is little understood outside the business. 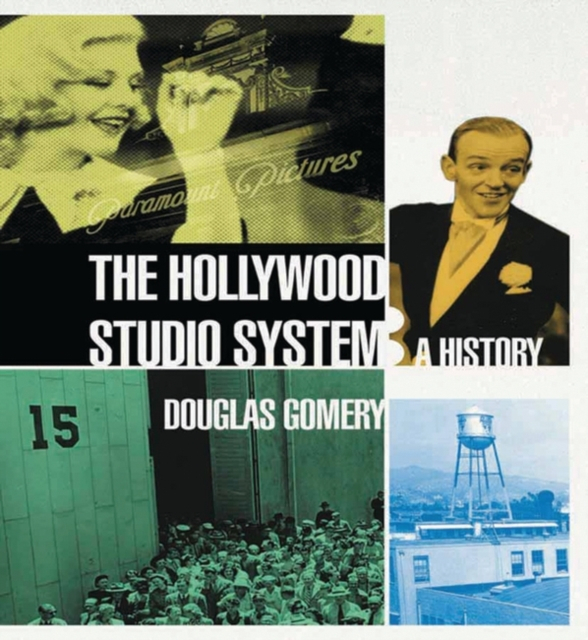 The Hollywood Studio System: A History is the first book to describe and analyse the complete development, classic operation and reinvention of the global corporate entities that produce and distribute most of the films we watch. Starting in 1920, Adolph Zukor, head of Paramount Pictures, over the decade of the 1920s helped to fashion Hollywood into a vertically integrated system, a set of economic innovations that was firmly in place by 1930. For the next three decades, the movie industry in the United States and the rest of the world operated according to these principles.Cultural, social and economic changes ensured the demise of this system after the second world war. A new way to run Hollywood was required. Beginning in 1962, Lew Wasserman of Universal Studios emerged as the key innovator in creating a second studio system. He realised that creating a global media conglomerate was more important than simply being vertically integrated. Douglas Gomery's history tells the story of a 'tale of two systems', using primary materials from a score of archives across the United States as well as a close reading of both the business and trade press of the time. Together with a range of photographs never before published, the book also features over 150 box features illuminating aspect of the business.